This is also known as the 20x5 recipe. 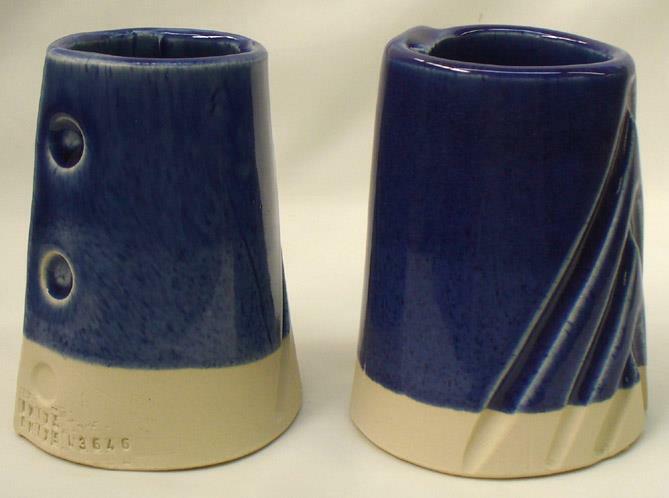 It was developed during the early 1980s to demonstrate principles of glaze chemistry in creating a glaze base sympathetic to the development of chrome-tin pinks and maroons. Articles a videos about this were used a selling tools for Digitalfire Insight software. It is still used today because of the simplicity of the recipe and that fact that it works so well with chrome-tin pink glazes. 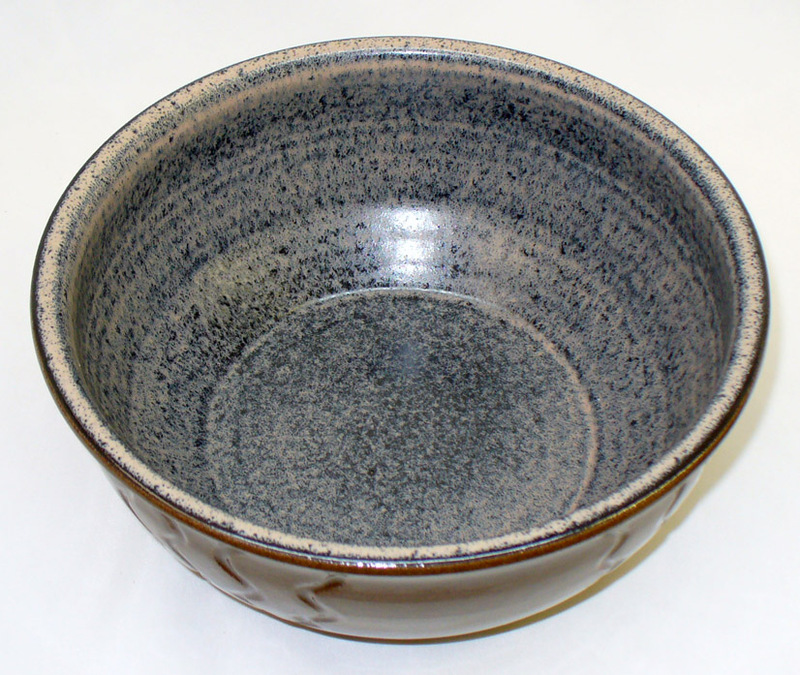 If your glaze can handle more silica and melt just as well then add it! 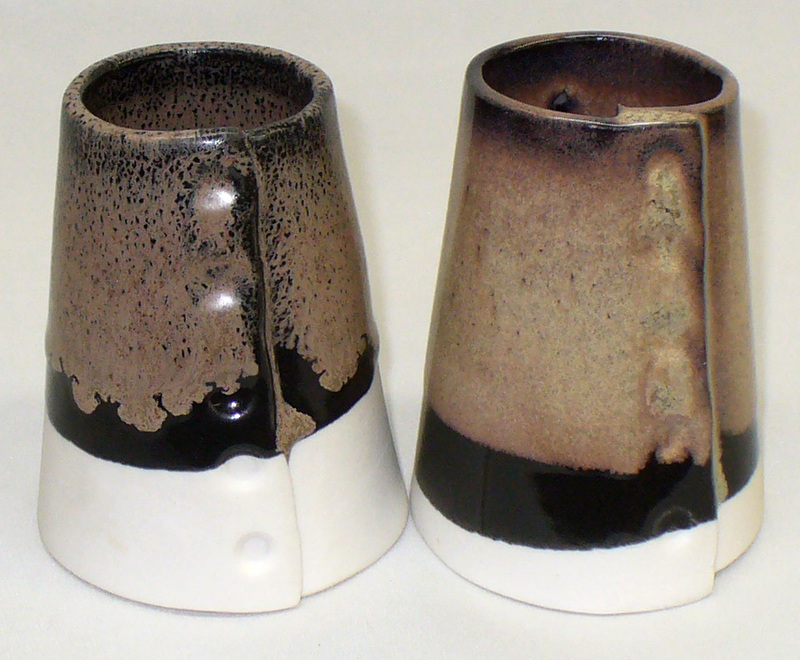 The cone 6 G1214M glaze on the left melts well. Can it benefit from a silica addition? Yes. The right adds 20% yet still melts as well, covers better, is more glossy, more resistant to leaching, harder and has a lower thermal expansion. This shows clearly how well the M version works with a chrome-tin stain compared to the others. However the 6100 brown stain works best in the N recipe (which have MgO). Notice also that the M has a higher thermal expansion than the others. Black for cone 6: Use a stain. G1214M with 5% added Mason 6666 stain makes a stunning black for cone 6. 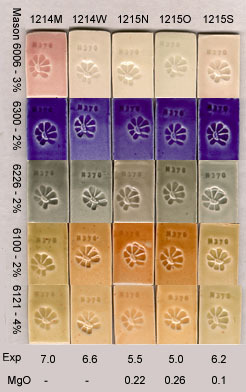 This demonstrates how the host glaze affects the color development of certain stains. 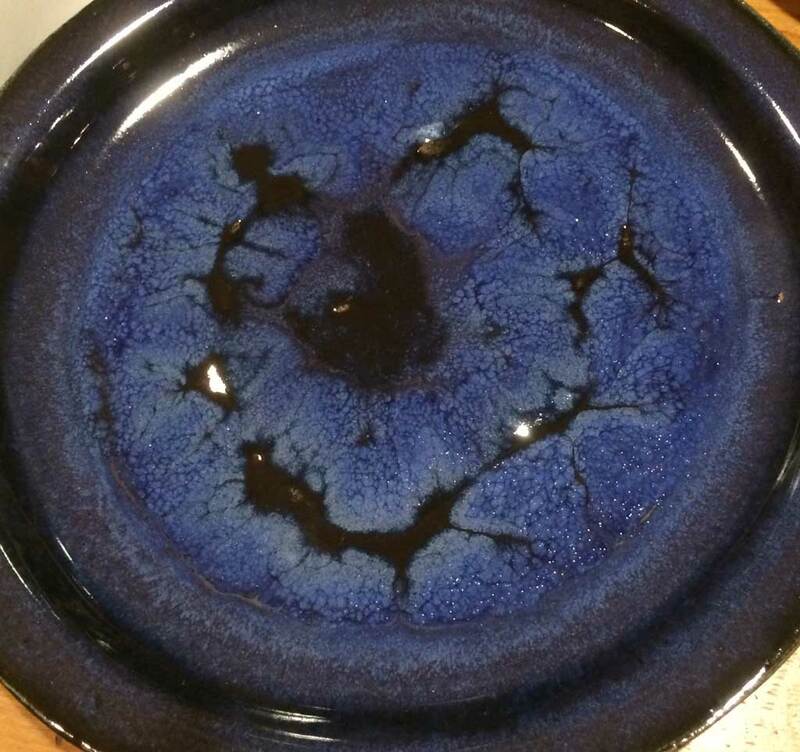 Blue is stable in pretty well all glazes. But chrome tin pink (top row) is very particular that the glaze have the right chemistry (1214M is obviously best, it has the highest CaO and lowest B2O3). The 6100 brown works much better in the N and O base glazes (they have higher Al2O3). Stain companies have guidance on chemistry particulars and you can view the chemistry of your recipe in your account at insight-live.com. The blue second layer here is 5x20 cone 6 clear with 2% cobalt oxide and 5% rutile. 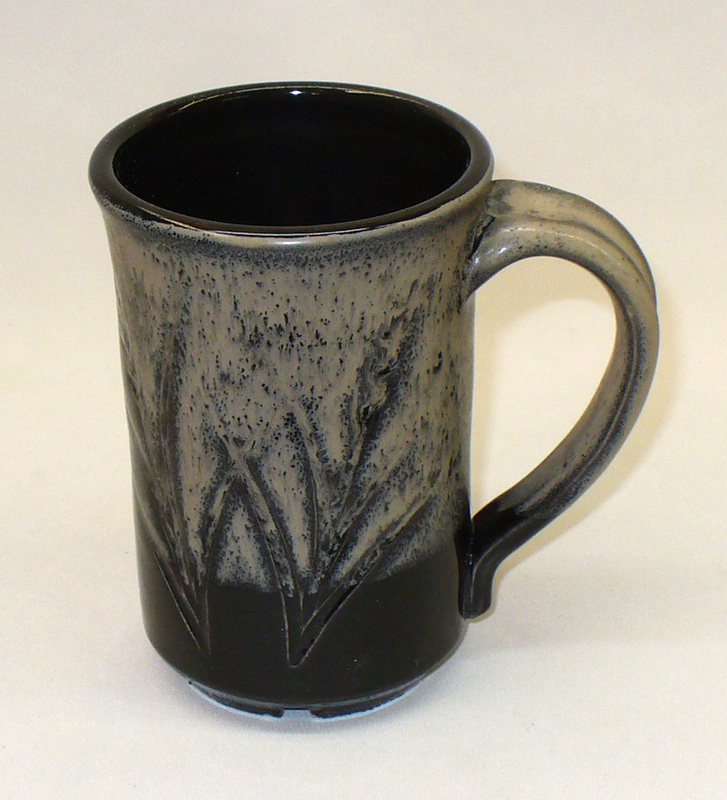 The base black glaze is 5x20 with 4% Mason 6666 stain. MgO is the secret weapon of craze control. If your application can tolerate it you can create a cone 6 base glaze of very low thermal expansion that is very resistant to crazing.